The official opening of the first Hydrogen filling station in Slovenia took place in September 2013 at the Petrol service station in Lesce (Hraška cesta 13) in Slovenia. The project is co- financed by the European Union and and coordinated by the Center of Excellence for Low-Carbon Technologies (CONOT) and project partners. 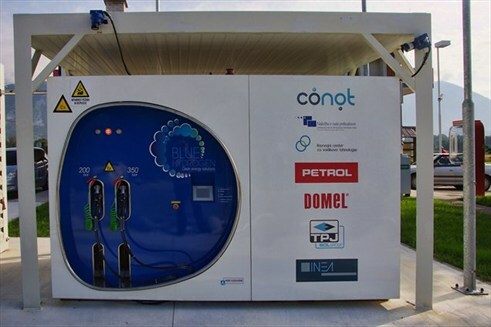 CONOT is key facilitator of hydrogen projects in Slovenia and serves as a point of reference for many Balkan countries. As the official prepresentative of the City of Bled in HyER the centre facilitated the first Slovenian hydrogen station and is an active partner in the enefield project.